Kidding Review - Carrey Delivers On Dark Potential - Are You Screening? 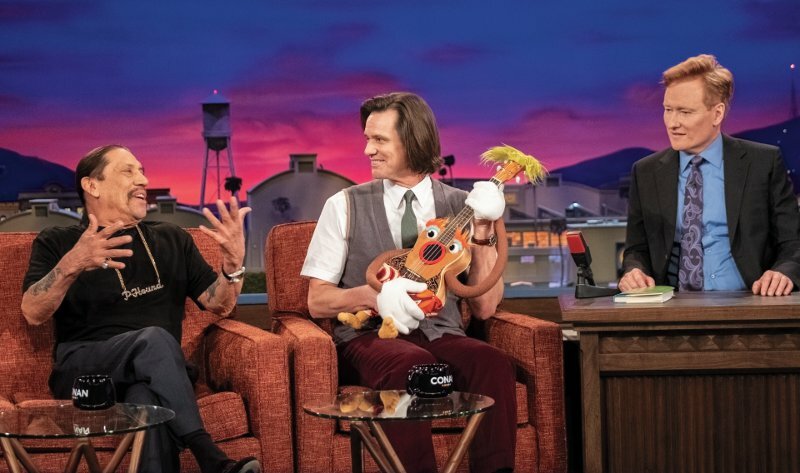 Jim Carrey, and an amazing supporting cast, are taking on a challenge that is almost too much to dare in Showtime‘s latest effort, Kidding. Truly dark comedy is difficult enough to pull off, but when you lace it with a struggle to get over the death of a child, and make it about a guy who has hosted a children’s show for over a decade, there isn’t room to deliver one wrong line. Now add in a delivery of setting and circumstance that is at times a hyperbolic exposition, and you’re really limiting your potential audience as well. Carrey stars as Jeff/Mr. Pickle. His show is incredibly popular and has led to a marketing/licensing empire, but he’s in the middle of a massive crisis which not only includes the loss of a child, but a split from his wife, Jill (Judy Greer) and a rather estranged relationship with his son Will. Having lived with a focus on the rosy outlook that fuels a show aimed at inspiring and entertaining young minds, when the cruelty of life crashes into Jeff’s world, things fall apart fast. As we enter the show, Jeff has decided that he believes Mr. Pickles should address death with his audience, because he thinks he is in a unique position to help children learn to deal with it. Of course, the show’s producer, Sebastian (Frank Langella), thinks that would destroy the Mr. Pickles empire, and send children screaming from the room. 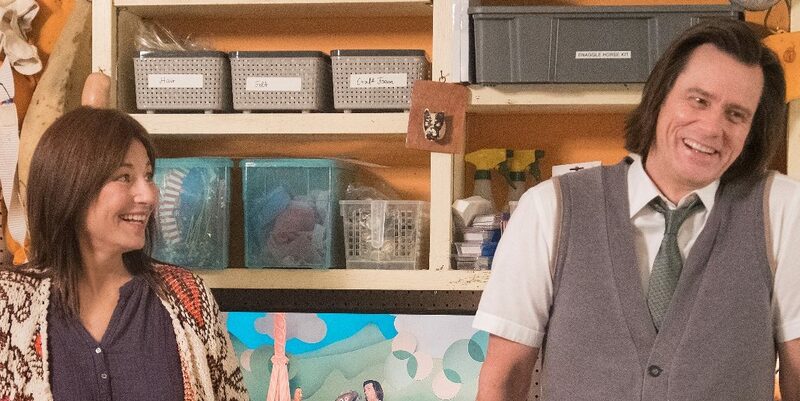 Meanwhile, things are a little weird behind-the-scenes of Mr. Pickles at the best of times, but one of Jeff’s only touchstones is Deirdre (Catherine Keener), his sister, who creates the puppets for the show. 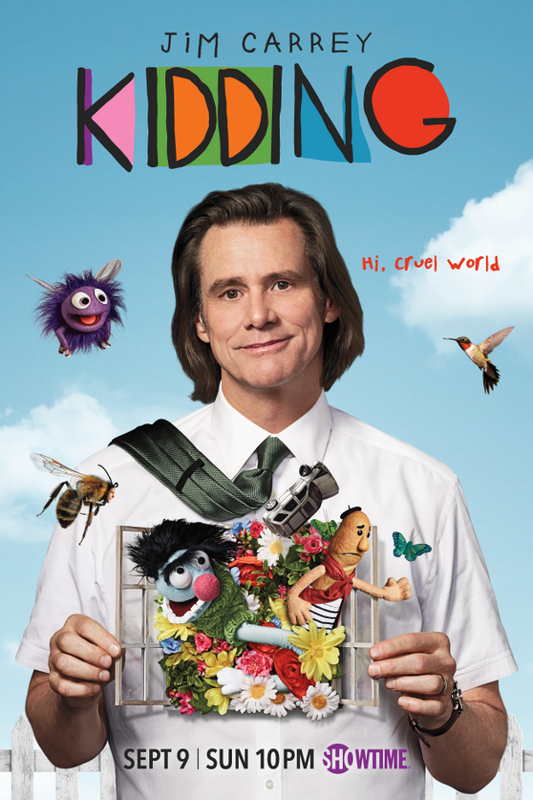 As Carrey shuffles through an existence that is quickly becoming a nightmare, he channels some of his best, and most difficult performances. An internal struggle is a role that is tricky to deliver without turning stagy, and when it comes in a show that is heaping trials on a man like he was in a race with Job, it becomes all an actor can hope just to keep it from spilling into camp. Make it dark comedy that is getting most of its humor from the wicked juxtaposition of a children’s show environment meeting the daily horrors of the real world, and it’s hard to deliver anything at all. At one point in the pilot, Sebastian tells Jeff that he is two people, Jeff and Mr. Pickles, and that those two people should never meet. That becomes the background of the series, as it is clear that where person and persona begin and end is something of a blur at this point. A fact that it is easy to imagine causing problems in a person’s marriage and/or relationship with their son. Of course, the danger of the show is that it could easily lose its own effort to a maudlin sense of urgency that doesn’t exist, and it already approaches the edge of that cliff at times. When alone, Carrey is at times unable to find a focus for his reactions, and when things go too weird, there’s little point or humor to what’s happening. You can chalk that up to working through the laying of the groundwork for the setting, but not for long. It’s a pilot with some establishment hurdles, because even the hardiest of pitch black comedy fans have to do some of the work here, but if it keeps its focus on Jeff’s inability to cope, and how that infects a Fred Rogers-esque effort to help children cope, this could quickly turn into one of the best things on television.